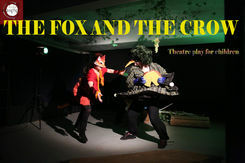 Teatrul Coquette: "The Fox And The Crow"
Mastile venetiene, muzica, dansul si umorul creeaza momente care fac deliciul celor marl si celor mici, dar si indreapta atentia for la anumite tipuri de comportament, pe care fabula doreste sa le aduca in vedere. 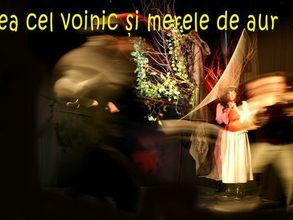 Cu ajutorul prietenului Arici, dar si al micilor spectatori, Corbul va gasi un mod de o face pe Coana Vulpe sa se schimbe, sa nu mai minta si sa nu mai fure. La final, vor sarbatori reusita, dar vor trage impreuna invataturi din aceasta istorie. Personajele sunt simpatice, devin indragite de cei mici, iar spectacolul este plin de momente savuroase. Dedicat copiilor intre 3 si 11 ani. A play inspired by LaFontaine's famous fable, adapted for children. 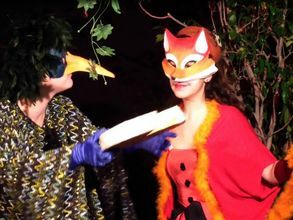 The slick Lady Fox tries to trick the Crow once more and steal his cheese. But this time, all that Mr. Crow wants is to win the talent contest in the forest and become king of arts. With a little help from his friend, the hedgehog, the Crow will succeed and convince the Fox to be truthful. The play is filled with amusing moments. The Venetian masks, the music and dances make a real theatre treat out of this performance, while trying to bring attention to the real meaning of the story. In the end, friendship and understanding will triumph. 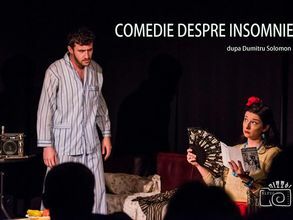 The characters are good-humored and the kids will love them, while they will take sides and speak their minds about the situations in the play. For kids aged between 3 and 11.